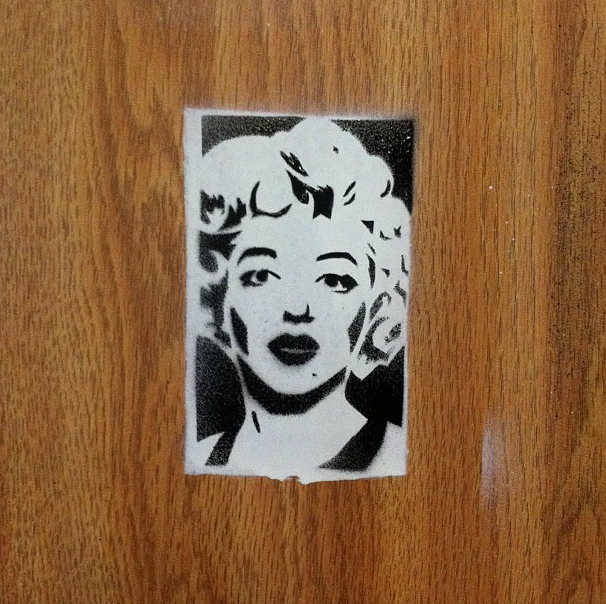 Today I made this Marilyn Monroe stencil and tested it out on the wood shelf in my garage. I think it turned out to be pretty sweet looking. I can´t stop watching it. Without a frame she looks like floating from the past, with her sad eyes, like being about to tell us something.